Fanpages is released next week. The long awaited creation of Bay Garnett and Kira Joliffe composing different creative people’s obsessions. If you are lucky enough to have a copy, simultaneously I hate you, and please share it with me. Luckily for those of us that didn’t nab one of the 1000 copies floating around the little old Isle of Blighty somewhere, the Sunday Times Style magazine gave us some juicy snippets of what is inside the Bible of 2016, and if you read it, and just try hard enough, you can almost imagine that you’re reading the actual thing. Almost. The whole premise of the book is amazing- unsurprisingly seeing as it comes from the creators of Cheap Date. But it is a really interesting idea to think about what it is that obsesses somebody else. Based on the idea of teenage obsessions, I dread to think what my contribution to the book would be… I was really weirdly obsessed with Daniel Craig for a few years for some unexplicable reason as I hated James Bond. And I was also super into fortune telling, this fortune telling was mainly focussed around if a boy would snog me at the disco, but still. That’s why I’m not so sure about Sophie Dhal’s submission of her love for cashmere. Yeah, Soph, who doesn’t like cashmere eh?? I’m sure it’s bloody lovely if you can afford to collect 17 different cashmere sweaters but it wasn’t exactly what I was dreaming about when I was 13. That's why I'm obsessed with coverstar Chloe Sevigny's obsession. 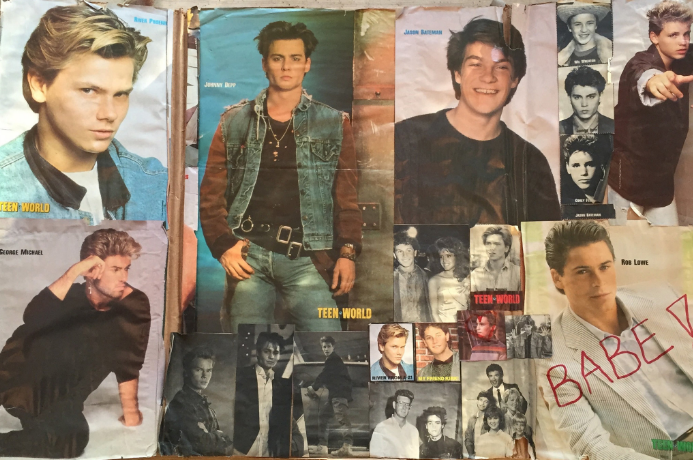 A collage of images of Johnny Depp, River Pheonix and George Michael- of course annotated with the word 'babe'. 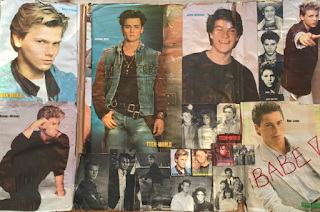 I've got similar collages of adoration for various stars lurking in my cupboards somewhere (although I'm sure far less people would be interested in looking at them.) But it's just nice to be able to say that you have something in common with officially the coolest girl in the world. I already can't wait for next years Fanpages.